If you’re looking for lively company and free food, we’ve got what you need. UW Alumni, faculty and staff are opening their homes or reserving tables at local restaurants for small dinner parties with students. It’s a great chance to meet new people and discover the Husky community beyond campus. Do I need to pay for this program? No. Our alumni/faculty/staff generously volunteer to host students for dinner. Given this, we strongly encourage you to thank your host in person and/or with a personal follow up email or note afterwards to show your gratitude. What are my responsibilities as a student participant? Be yourself! Alumni love to learn about your UW experience and most importantly, who you are as a person. Be excited to learn about the experience of the alum and be respectful while in their home. How should I plan for my transportation to the dinner? Most students travel to the location either by public transportation or by car. You can also consider travelling with your fellow dinner participants. Do I get to pick which dinner I am going to? 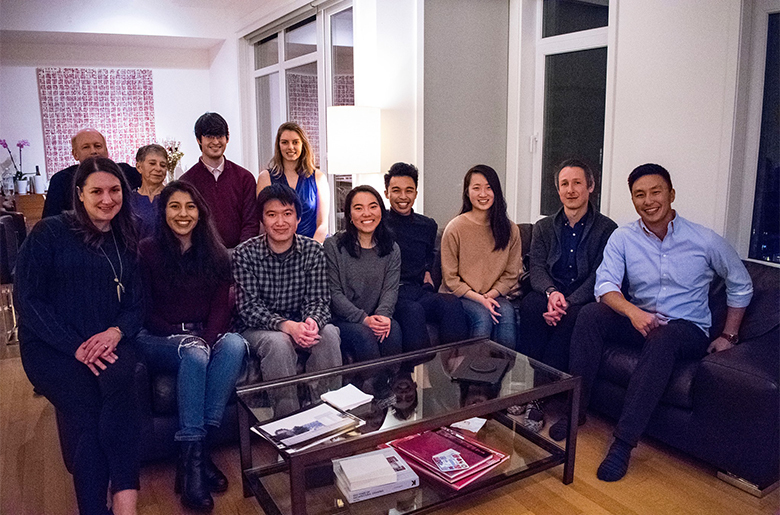 The UW Alumni Association will do the matching to ensure that we have a diverse group of students in every dinner, or students who fit into the specific requirements that the hosts indicated in their applications. Will all students who apply get assigned to a dinner? No, due to the popularity of these dinners and capacity limits of the hosts, we won’t be able to accommodate all students. Assignments will be done on a first come, first served basis. What is the student commitment form? Due to the popularity of this program and because hosts are so generously opening up their homes, we want to make sure that selected students will follow through on their commitment to attend. Once the application closes, we will send out a secondary commitment form to all students. This is a required step in order to be considered for a dinner. Student applications will be posted Jan. 15. What are my responsibilities as a host? 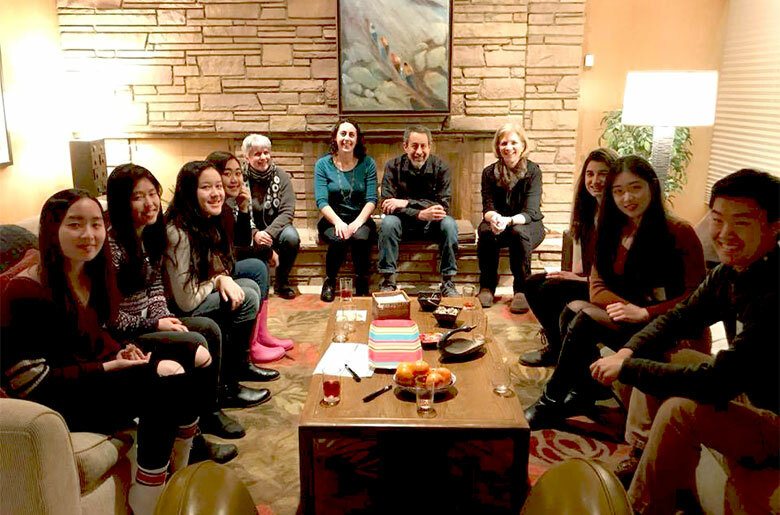 Connect with your Husky community by opening your home to students for a small dinner party! All alumni, faculty and staff who live within eight miles of the UW’s Seattle campus are eligible to host. If your house is further away, you can choose to host the dinner at a restaurant or consider co-hosting with a friend who lives closer. We will try to match students with hosts according to the types of transportation that they have access to. How many students can I expect to host? We’ve found that the ideal size of these dinners consists of five to 18 students. You can choose how many people you’d like at your dinner, depending on the size of your home and the style of your dinner. You will indicate your preference and limitations on the application. How will students get to my home? Our ideal host lives within 30 minutes from campus. Homes that are accessible by public transportation are ideal. However, we will ask students about their transportation needs in their application and work on car-share sponsorship and other creative options as necessary. Who are the students that I will be assigned to host? Students will be assigned on a first come, first served basis. This program will be open to all students. The goal of the dinner is for Dawgs (with various backgrounds, career aspirations, and interests) to leave with an expanded, more diverse network and with a better appreciation of the Husky family. What if I’m a terrible cook? Students are happy with food and great company. Some hosts create delicious homemade meals, while others choose to pick up party platters. If cooking isn’t your forté, how can you get creative? There’s really only one requirement: you should be able to accommodate vegetarians. Just make sure to have a few dishes that aren’t “meat lovers” only. What if I work late? All dinners are on Saturday or Sunday, and your dinner can begin at any time. While 6 p.m. is the default start time, you may choose to begin earlier or later, keeping in mind that a typical dinner will last two to three hours. What if I don’t have a lot of time? To keep it simple and best accommodate your schedule, you have four dates to choose from. Most of the planning is taken care of by staff and students. We’ll select students for your dinner and assign you a student ambassador to communicate with; you simply have to pick your date and decide on what to serve. Easy, right? What would we possibly talk about? Many students will view a hosted dinner (or in college terms, free meal!) as a chance to connect with a UW alum, faculty or staff member and expand their network by meeting new people. While you might want to give some thought to a few icebreaker questions, we don’t expect you to facilitate the entire conversation. Ask the students what they want to talk about. Topics like what they are involved in, what they’re studying, and what they want to do after college are typically good places to start and will ignite further discussions. Will there be UW Alumni Association staff at my dinner? Because this is only our second year, we hope to have one UW Alumni Association Student Ambassador at each dinner. These students will help make sure students get to the host’s destination, facilitate conversation, take photos, etc. They will also join in on the experience as a student since they don’t necessarily have a defined, specific role outside what’s mentioned above. A really fun way to meet other people at the school and feel more deeply connected to the university.